It costs only a few dollars to buy a bottle of witch hazel. This astringent substance is actually an extract derived from the bark and leaves of a flowering plant called Hamamelis virginiana. Most people buy witch hazel to use on their skin. Personally, I love this stuff. The astringent quality helps to cleanse my skin and get rid of excess oils, but it’s really gentle and it doesn’t dry it out either. As it turns out, witch hazel has a whole ton of handy uses! Check it out! 1. Remove your makeup with it. 5. 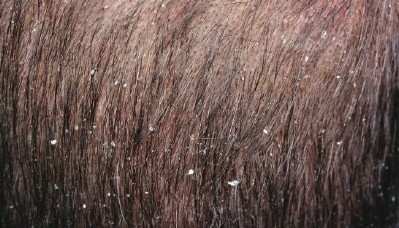 Get rid of dandruff. 6. Prevent and reduce the appearance of stretch marks. 8. Get rid of bags under your eyes. 11. Make a natural deodorant. 14. Treat and prevent razor burn. 16. Heal a cold sore. 17. Heal sore or inflamed gums. 18. Soothe a sore throat or laryngitis. 20. 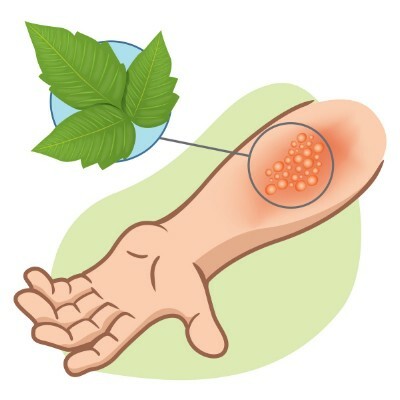 Relieve poison ivy and poison oak. 23. Combat eczema, psoriasis, and other irritating skin conditions. 23. Clean your dog’s or cat’s ears. 27. Use as a paint thinner. 28. Use it to clean your bathroom. 29. Make your own floor cleaner. 30. Create your own air freshener. 31. Make your own glass cleaner. 32. Use it to clean your eyeglasses. Many of the most popular uses for witch hazel are cosmetic. The skin-tightening and deep cleansing powers of witch hazel give it a wide variety of uses in your morning and evening routine. The astringent qualities of witch hazel make it great as a makeup remover. I was thrilled when I discovered how much less effort it took to get my makeup off with its help! This will really speed up your nighttime routine. 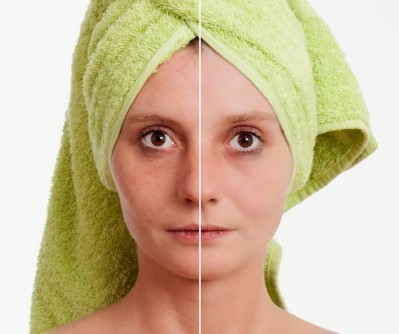 You may actually be surprised to learn that there are a few recipes for homemade makeup remover that could save you a pretty penny! 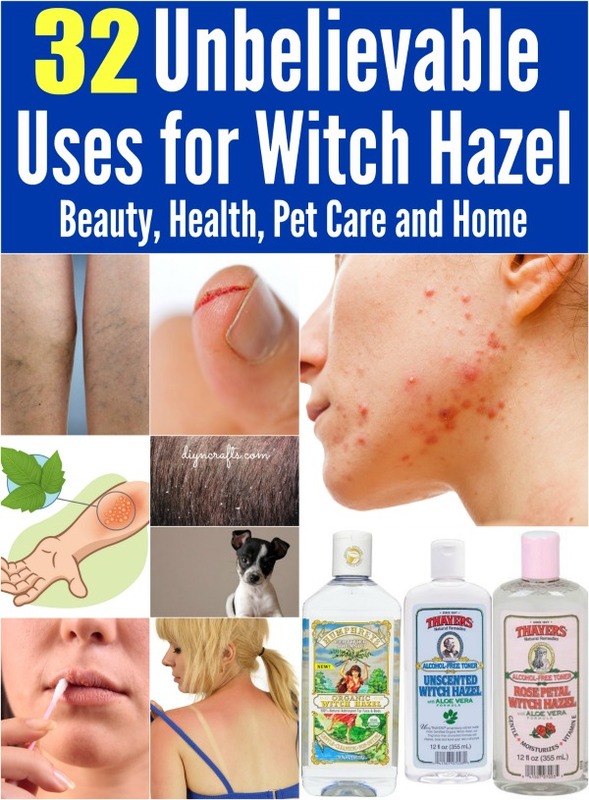 Even though this is probably the most popular use for witch hazel, it is worth taking a moment to mention it, just in case you use witch hazel for something else right now! This stuff does a great job of getting sweat, oil, and dirt off of your face and balancing your skin’s oil production. If you use it once a day, you will be amazed at how much better your skin feels throughout the day. This use goes hand-in-hand with that above. When you get rid of excess oils on your skin and get rid of dirt and debris, you unclog your pores and let acne dry out. 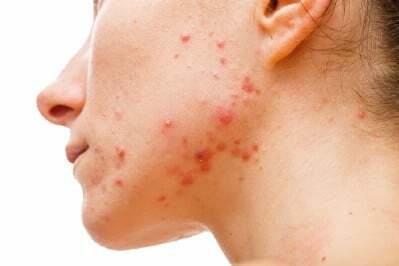 Doing it regularly is a huge help if you are acne-prone. In fact, it’s arguably one of the most effective treatments I have ever tried, and certainly among the cheapest. Pair it up with a natural product containing activated charcoal for the best effect. These two treatments alone have reduced my acne to about 25% of what it used to be. 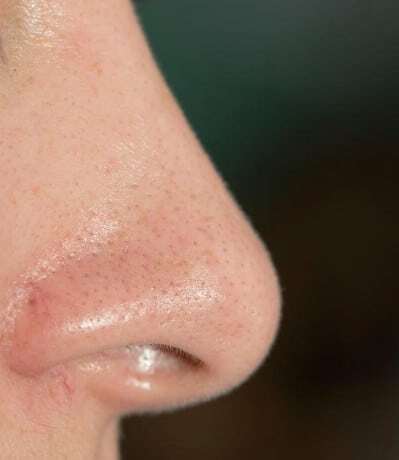 If you have large, open pores on your skin and can’t stand the sight of them, then you will find that a daily application of witch hazel will help to shrink their appearance. This is true even if you do not suffer from acne or oily skin. Suffer from dry, flaky skin on your scalp? If you are sick of dandruff, try treating it with witch hazel. Just massage it into your scalp, and then follow it up with your standard shampoo and conditioner in the shower and rinse it all out. Alternatively, you can use it to wash your hair and scalp between shampoos, if you get your hair wet in the shower on non-wash days. Stretch marks typically are a problem for pregnant women, but they can also affect anyone who gains weight quickly for whatever reason. For this reason, teenagers sometimes get stretch marks as well during periods of accelerated growth or changes during puberty. Stretch marks are pretty tough to get rid of, but one method many people report great success with is witch hazel! Witch hazel can tighten loose skin around the scars (which is really what stretch marks are), which in turn can reduce their appearance. You can use it as a preventative too, so this is something every pregnant woman should have on hand! 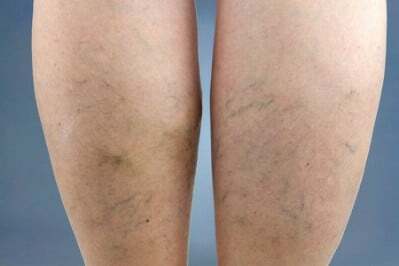 Varicose veins are an unsightly cosmetic blemish with a similar appearance to stretch marks. They often form in the same locations as well (the thighs are common). Like stretch marks, they can be troublesomely stubborn. Witch hazel is a popular folk remedy for spider veins. Just dab some on with a cotton ball several times a day. Some people who have tried this report that it reduces the appearance of the veins, while others say it can alleviate the discomfort which is sometimes associated with them. You know those annoying bags that show up under your eyes when you’re tired? Witch hazel is an effective remedy for getting rid of them. Remember, it tightens up skin. That is why it works so great to shrink pores and reduces the appearance of stretch marks. That same quality helps to tighten up the skin under your eyes. Away with those bags! Sometimes you don’t have bags under your eyes, but you get a kind of general puffiness. This can come from fatigue, crying, allergies, or other irritants. Just dab a couple of cotton balls in witch hazel, and then set them on top of your eyelids. Keep your eyes closed. Take a 10-minute catnap, sit up, and look in the mirror. The puffiness and redness should be gone, or at least greatly reduced. Not only is witch hazel great for your scalp, but it also can be helpful for your hair care routine in other ways. If you have frizzy hair, witch hazel can help you to tame your locks. Just add a little to your shampoo before washing. You will be stunned at the difference when your hair dries! You can make an easy spray-on deodorant which is 100% natural using half a cup of witch hazel, a quarter of a cup of aloe vera gel or juice, a quarter teaspoon of baking soda, and ten drops of your favorite essential oil. Sage is one of the best because it also has deodorant properties, and smells awesome. Just mix it all together in a spray bottle and use it. It will be wet for a moment, but should dry quickly after soaking into your skin. What an easy and exciting recipe! While many of witch hazel’s uses are cosmetic, some of them are quite medicinal and include wound care and other health-related applications. Have a look. Does your baby have diaper rash? One great way to get it to heal quickly is by applying witch hazel using a cotton ball. The improvement should be very quick, which will be a relief both for you and your baby. Chicken pox is no fun for anyone. Witch hazel’s wonderful soothing properties are great for curbing that itch. Try mixing water and witch hazel in a 1:1 blend and applying it directly to the itchy areas. Allow it to air dry if you can. That way it will have time to soak into the skin and really work its magic. Feel free to do this as often as necessary. 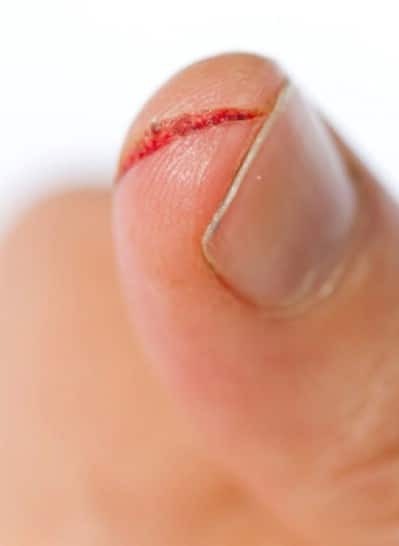 Another form of irritation we all have to deal with is razor burn. Even with the best razor, it can be hard to avoid those painful little red bumps. Simply applying witch hazel after you shave can soothe your skin and reduce inflammation, preventing razor burn from forming at all. Remember, you can even do this on your face, so this is a handy trick for both women and men. Nothing itches and burns quite like your skin after a day out on the beach. Just in time for summer, witch hazel is here to save the day. Sunburn is a form of inflammation, so witch hazel’s anti-inflammatory properties are ideal for quenching the burn. You can even prevent a sunburn from peeling this way, and you can speed the healing process along, lessening the damage. Just soak a washcloth in the witch hazel and apply it for several minutes so it has time to soak in. You can do this several times a day if you need to and if you don’t feel the relief that you’re after, try any of these five other natural sunburn remedies. When you feel that little tingle that signifies you have a cold sore coming on, try applying a little witch hazel to the spot. This may actually prevent it from becoming a full-on blister. If the cold sore blister has already formed, put the witch hazel on it as soon as you can. It should speed up the healing process and make it go away faster. There are all sorts of ways that your gums can get sore or inflamed. Maybe you got something stuck in your gums while eating, or perhaps you have an infection or ate something that irritated you. Either way, the anti-inflammatory properties of witch hazel will help to tame the inflammation and irritation, speeding up the healing process. 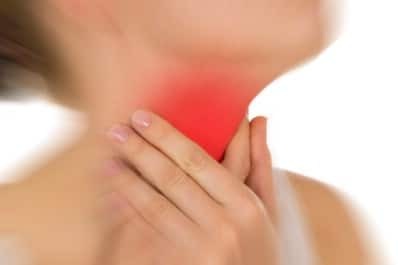 Have a cold or laryngitis? Gargling saltwater not doing the trick for you? Try instead making some warm tea out of witch hazel, myrrh, and cloves. Gargle that instead. Once again, the anti-inflammatory and antiseptic properties of witch hazel will come to your rescue. Summer is a great time to get outdoors and enjoy the sun and the warmth. Unfortunately, you probably aren’t the only one thinking that. Mosquitoes, biting flies, and other insects are thinking the exact same thing. 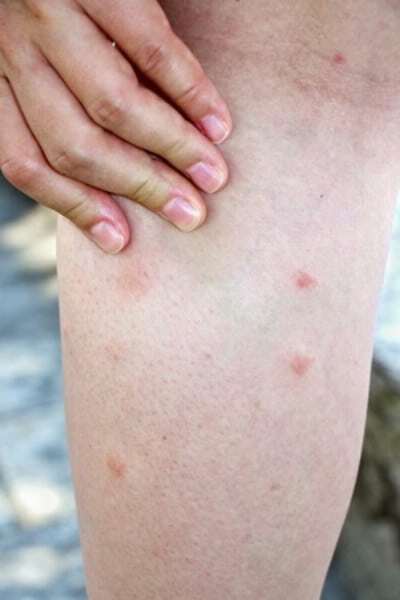 If you’re tired of scratching at your bug bites and making them worse, one easy and effective way to get relief is by using witch hazel. 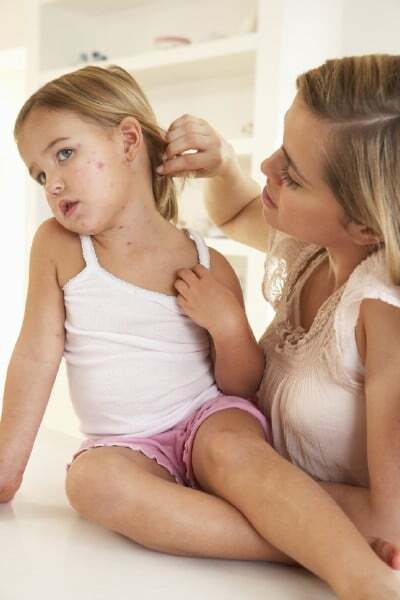 Considering it can help with chicken pox, it is more than up to the task of taking care of a few bug bites! Don’t leave this stuff behind on your next hiking or camping trip! Winged critters aren’t the only things outdoors in the summer that can make you itch. If you’ve recently blundered through a patch of poison ivy or poison oak, the itching and burning can be alleviated with an application of witch hazel. It should also help to reduce any swelling. Hemorrhoids are no fun for anyone. As it turns out, one of the key active ingredients in Preparation H is nothing more than witch hazel. That means you don’t have to buy Preparation H to treat your hemorrhoids. You can actually just treat them using a little witch hazel and petroleum jelly mixed together. You can use this mixture as often as you want. This is a great way to save money, since you can go through those Preparation H pads pretty quickly. If you have a light scrape or cut, you can use witch hazel to clean and disinfect the wound site. The antiseptic properties will reduce the chances that a bacterial infection will take root, and will also speed up the healing process. If you have an acute or chronic skin irritation such as psoriasis, witch hazel makes for a great treatment. It can help to soothe itching and reduce redness and irritation. It’s a particularly good solution for chronic issues since you can apply as much of it as you need as often as you like. It’s cost-effective and does a great job. Just as the antiseptic and anti-inflammatory powers of witch hazel are great for you, they can be helpful to your pet as well. Here are a few different uses for witch hazel for your dog or cat. If your pet has a minor cut or scrape, you can treat it with witch hazel just as you can do for yourself. The wound will be less likely to infect, and the soothing effect will help to calm down your furry friend. 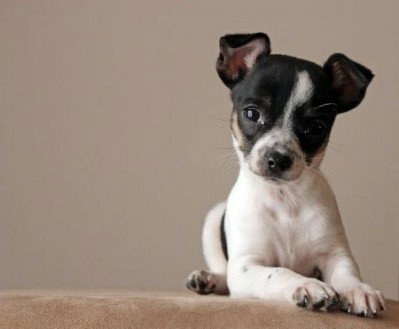 You can gently clean the outside and inside of your pet’s ears using a cloth soaked in witch hazel. This provides protection against infection and may also deter mites, since it is harder for pests to thrive in a clean environment. Ticks can’t stand witch hazel. If you find a tick rooted into your dog or cat’s body, deposit a few drops of witch hazel on top of it. It should loosen up its grip. At that point, you can grab it and pull it off successfully. You can then disinfect the site using the same witch hazel. Note that this doesn’t just work on your pet. It also can work on you or your kids if one of you picks up a tick. It’s very important to get rid of ticks as quickly as possible, and witch hazel can help speed up the job. Finally, witch hazel has a few additional uses around the house. Let’s find out what they are! If you are trying to scrub a tough stain off of a surface, try using witch hazel. The best way to do this is by mixing it with some white toothpaste first. You can even use an old toothbrush to do the scrubbing. The stain should lift right off! On that note, witch hazel can remove stains from your skin too. You can go ahead and skip the toothpaste if you are using it on yourself. This works great if you got some hair dye stains on your skin (tip: you can also prevent those stains in the first place by applying a little petroleum jelly to your skin before you dye your hair). Cleaning jewelry poses a challenge, because you need something effective enough to lift debris, grease, and oxidization, but whatever you use needs to be gentle enough not to damage metals and gemstones. For this reason, you have to avoid harsh detergents (even some commercial jewelry cleaning solutions are too strong to use safely!). Witch hazel makes for a great alternative for a lot of jewelry cleaning jobs. It’s really easy. You just dab some on a cotton ball and carefully wipe down your jewelry. You can also use the witch hazel as a soak if you prefer. Around 20 minutes should do it. If you add some witch hazel to paint, you can thin it out. Rubbing alcohol works for this too. Both of them speed up drying time as well, so you get the job done faster. You’ll save a lot of money this way, as actual paint thinner can be quite expensive. Witch hazel turns out to be a phenomenal cleaner for your bathroom. Don’t use it on its own. Instead, create a mixture by combining it with baking soda and lemon juice. This will make it tougher on soap scum, mildew, and stains. Have tile, vinyl or linoleum floors to keep clean in your bathroom or kitchen? Instead of spending a lot of money on expensive floor cleaning solutions, just pour half a cup of witch hazel into a gallon of warm water. Stir the mixture together and start mopping. The witch hazel solvents are great for stripping off old wax, and the warm water meanwhile takes care of the dirt and debris. If you need to, you can also try adding a tablespoon of borax. Try combining a cup of water, half a cup of witch hazel, and around 15 drops of your favorite essential oils into a spray bottle. You can use this mixture as an air freshener anywhere in your house. It’s a lot more eco-friendly than a commercial air freshener, and the smell will be much better too. You can customize it to your heart’s content, and the scents are actually natural. 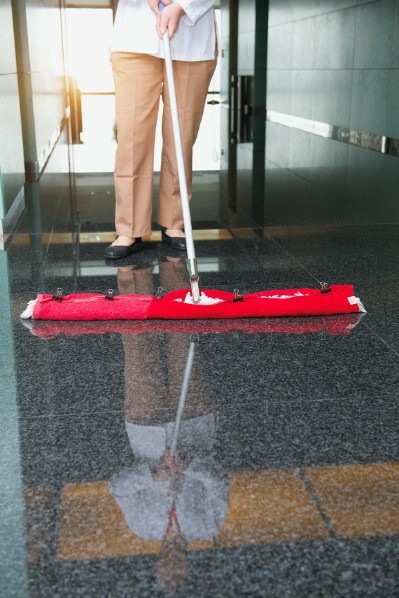 The same mixture of witch hazel, lemon juice, and baking soda that works so well as a bathroom cleaner can also be mixed together in a spray bottle and used on your glass windows, mirrors, and chrome surfaces. After you wipe it down, you can just leave it to dry off. Since it is alcohol-based, it will evaporate quickly all on its own (this is also why it helps paint to dry). 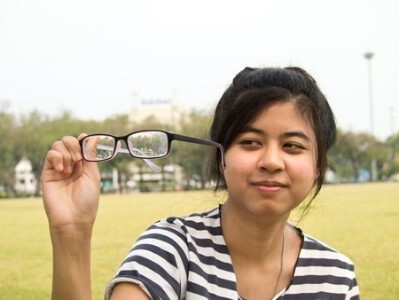 Instead of buying eyeglasses cleaning solution from the store, why not create it yourself quickly and economically at home? All you need to do is combine one part water with one part witch hazel (you can also use isopropyl alcohol), and one drop of soap. Be sure to use a gentle soap that won’t be too harsh on your glasses. As you can see, witch hazel is very handy around the house! It can replace a lot of your detergents and cleaning solutions and help you take good care of your pet. It also is great for personal hygiene, cosmetics, wound care, and more. It only costs a few dollars, and a little bit goes a long way. So pick up a bottle! You will be amazed at how useful it is, and how much money it ends up saving you over time. Know any cool uses for witch hazel which we missed? Share them with us in the comments below! Witch Hazel is also good for fire ant bites. I use a combination of hemorrhoid cream and witch hazel, and it really helps take away the burn and itch. I use straight witch hazel on a cotton ball to clean my leather orthotics. It takes most if not all odours out of the leather (my orthotics are 14 years old and it worked on them). I also put witch hazel in a small spray bottle and spritz my feet. Yes I put the Witch Hazel into a bottle and spritz my face whilst using it for my beauty routine. It’s so much handier and faster than applying it with a dry cotton pad. I wet and squeeze the water out of the pad, apply a good amount over my face and wipe away the excess product. I leave my skin to air dry then apply my moisturizer. The Witch Hazel feels lovely and soothing and now, after months of use, my skin feels and looks marvellous. Where do I buy witch hazel? You can buy it at Chemist Warehouse and Amcal. I buy it at Wal-Mart in the pharmacy. I just went to Wal-Mart and found Witch Hazel, but, be careful, it contains 14% alcohol. They did not have Thayer’s Witch Hazel. Was-Mart or any drug store. Also buy it from Amazon. Thank you for the information – I was looking into the ingredients of preparation H and Hamamelis Virginiana (Witch Hazel) extract is not one of them. It is however in Tucks that is used to relieve hemmoroids. You could dilute witch hazel and soak a clean make-up pad and apply the same way you would a tucks pad. If I am mistaken can you let me know whee you got your information from. Great list to have, thanks so much! Be careful if you use rubbing alcohol on your eye glasses. It can remove some non-glare coatings with continued use. Check with the place that you bought your glasses from. They will let you know. I have seen this happen hundreds of times. My eye place said 70 is ok but not to go any higher. Spray it on, use your index, middle and thumb fingers to help spread it around and remove the nasties. Then spray a little more and with a clean and safe towel wipe off the lenses going one direction. That way, if there is a big piece of hard dirt that is naked to the eye, it will not scratch your lenses up by moving back and forth over the lenses with the same part of the cloth. It is a little extra work to clean your lenses this way but it will help keep them from scratching and help them last longer. Alcohol is safe for glasses even lenses with the anti-glare coating. I am an optician and I feel it cleans better than lens spray or even dawn dish soap and water. Also use a real soft cotton towel and no paper products. Yes a Kleenex is a paper product. If you have a little towel and do not hand wash it, go ahead and put it in with your laundry. However if you use dryer sheets then take the towel out and let it air dry. The dryer sheets have wood fibers and will scratch your lenses. Thank Diana… my dog gets hot spots too. Will have to try this! Can it be safely used on a cat? Thanks so much for this article and all the good tips! 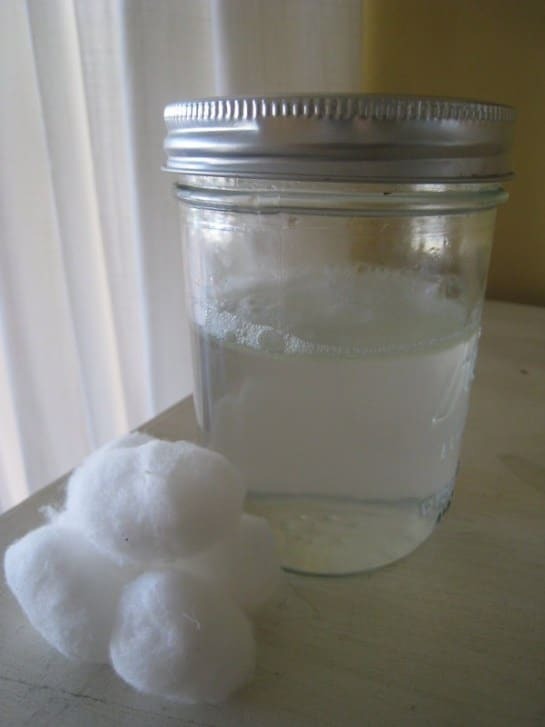 What is the ratio of witch hazel, lemon juice and baking soda for the bathroom cleaner? I’m using it on my German Shepherd’s ears will let you know if it works to relieve the redness & helps with his itching ear problem. Can you pour it into ear or just put on cotton ball and rub on dogs ear? I use it to soothe my restless legs. It helps a lot! how do you do that? Apply it all over your legs? I have it bad and am curious. Thanks!! Magnesium oil works wonders for restless legs! Hi I am wondering if its ok to wash Persian cat eyes? I definitely would not put with hazel in anyone’s eyes, as it is an astringent. Perhaps some pure olive oil dabbed lightly on the eyes would help them, or perhaps a very small amount of tea tree oil mixed with water. I am not a vet, so I am not sure. NEVER EVER MAKE A TICK BACK OUT ON IT’S OWN!! Yes I am yelling that, not even part way, as it does it starts regurgitating it’s stomach contents. If it was carrying any diseases or pathogens they are now in you or your kids or your dog. The only safe way to remove a tick is to pull the entire thing off you can use tweezers or a tick key (don’t use anything that twists either). The more you fuss with the tick the more your chances of becoming infected rise. Use witch hazel only AFTER the tick has been removed safely. Witch soaked cloths by DICKERSONS, I’ve used for many years, another benefit, headaches, place a Dickerson witch hazel pre-soaked cloth, on for head, or back of the neck, this i do for my headaches.